Park departments across the country have been pleasantly surprised at the level of enthusiasm shown by most disc golf clubs. Many clubs engage in park clean up, course maintenance, and charity work related to their local events. Weekly and monthly singles and doubles tournaments bring golfers out to the course to challenge their fellow players. Weekly league events will increase traffic to your course. If you schedule weekly league play events, with a set day and time, the word will spread and your course attendance should grow. Offering local players a league format can create a more cohesive disc golf community. Many clubs run a singles league as well as a doubles league to offer a format that everyone can enjoy. Disc Golf United (DGU) offers online league management services that provide everything you need to run a successful league. Visit discgolfunited.com or call 1-800-476-3968 for complete details on how to increase weekly play at your facility. EDGE (Educational Disc Golf Experience) is a non-profit organization dedicated to bringing disc golf to youth. If you are interested in a youth activity for summer programs or after school activities, EDGE can provide all the materials and equipment needed to introduce disc golf to the youth in your community. Disc golf charity events provide a heart-warming opportunity for disc golfers to give back to their community. They can generate positive media exposure for your park. The Ice Bowl charity series in the winter promotes hunger awareness. Money and food donations support local charity organizations, especially food banks. Disc golf has been incorporated into numerous state games, senior games, and Special Olympics. Competitors who haven’t tried disc golf can easily learn and participate in disc golf with their fellow competitors. Disc golf tournaments can draw players from your local area and beyond to experience your course and your hospitality. Events range from a single round to multi-day events with all age and skill levels. It’s common for players to travel 2-6 hours each way for a weekend tournament, while one day events may draw players from a more local region. Many events are run by local clubs and organizations. If you are interested in hosting a tournament at your disc golf course, check with the local club to find qualified volunteers who have experience running events. Events can be run in cooperation with your park department and can be used to increase awareness of the disc golf course or to target youth and/or family groups. Whether it is a local league or a charity event, Innova stands ready to share its expertise and promotional tools to help your local disc golf program thrive. Disc golf tournaments range from small local gatherings to major events drawing players from around the nation and world. A single course can easily accommodate up to 90 players for a tournament. Add a course, and that number doubles. 1125 players attended the 2012 World Championships in Charlotte, NC, playing on 14 area courses. 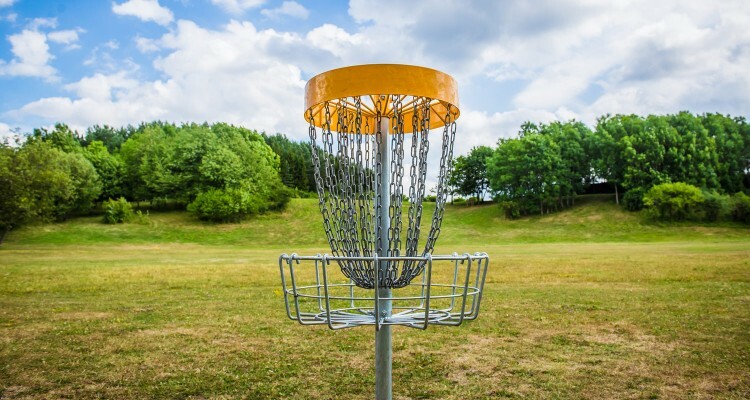 A disc golf tournament can nicely boost your area’s tourism income. Bowling Green, Kentucky has built 10 disc golf courses in their park system. They annually host an amateur disc golf tournament each year with 500-900 players. As an area installs more courses, the possibilities for bigger events, and the economic impact that comes with it, continue to expand. Founded in 1976, the Professional Disc Golf Association is a non-profit organization dedicated to promotion of the sport of disc golf worldwide. Its 55,000 plus members live and play in more than twenty countries on five continents. The PDGA is the governing body for the sport. The PDGA maintains the rules of play, equipment specifications, maintains an interactive website, provides members with a full-color magazine called DiscGolfer, and is a source of information about the sport. Every year the PDGA sanctions competitions for professional and amateur players. More than 1600 PDGA tournaments are held around the world annually. As more people discover disc golf, more players are attracted to competitive events. The demand for more PDGA sanctioned events is continually growing.